This month I have been thinking about my mother, my grandmothers and my mother line. Today is the birthday of a very dear granddaughter. Her name is Elizabeth Anne or Elyzabeth, I believe her mother is now spelling it. I hope she kept the Anne. If you have read any of this previous month's posts, you can see that this granddaughter was given a name with a lot of history to it. Her mother line has both names in it. I haven't been in contact with Elyzabeth for over 4 years. I miss her very much and I hope someday she will read this post and other letters I have written and saved for her. Her birth mother (my daughter) died nearly 6 years ago and when her father remarried, they "uninvited" my husband and I and our extended family out of their daughters' lives. I remember the day Elyzabeth was born. I was at the hospital with her father and mother. Things weren't going as well as we had hoped. Her mother was in labor, but the baby was in distress. My daughter Rachel, always putting her children first, decided to have the recommended C-section. I worried about that. I worried that her subsequent pregnancies and deliveries would then be harder. That worry was premature. Rachel was killed in a car accident 3 months later and she would not have any more pregnancies. Back to the labor room 6 years ago today. They took Rachel into surgery and her husband dressed in the sterile jumpsuit the hospital provided. We joked together and I took his picture and off he went to get his first glimpse at little Elyzabeth, an absolutely perfect little baby girl. The rest of the day we took turns holding her, admiring her and imagining her future. Now she is 6. Her future has begun. Dear Elyzabeth, I wish much happiness for you today. I wish beauty and joy in your life. I have 12 granddaughters and 12 grandsons. 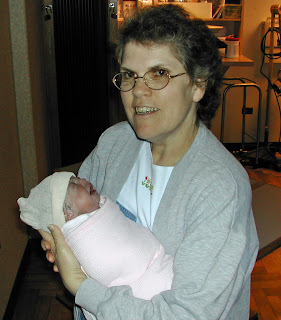 I was at the hospital for the births of every one of my 9 birth granddaughters. (I didn't meet my 3 step-granddaughters that early.) Every one was beautiful and perfect. Each filled me with joy at her birth. Several of them were named for grandmothers and great-grandmothers: 1 for me, 4 for my mother, 1 for my mother-in-law, 1 for her grandmother and 3 for aunts. What a heritage these young girls have! What a gift I have to know and love each one! I love women's history and I love seeing it being made today. Happy birthday Elyzabeth! You are part of something that is very special. Juliana was christened Christina Juliana Hok in Plieningen, Württemberg (now Germany) (Evangelische Kirche, Church Records: Kirchenbuch, FHL 1,055,927 p171. " 1798: Nov born 26; chr. 27; Lorentz Hok, miller, Frederika, born Hartmannin; 72 Christina Juliana..." Plieningen (OA. Stuttgart) Taufen 1558-1808). I love her name, Juliana. 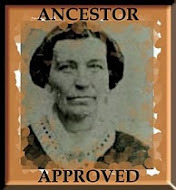 She is my 2nd great-grandmother and she came to the United States of America as a young girl. At 17 she married another German emigrant, George Gottlob Zimmerman 14 April 1816 in Pennsylvania. 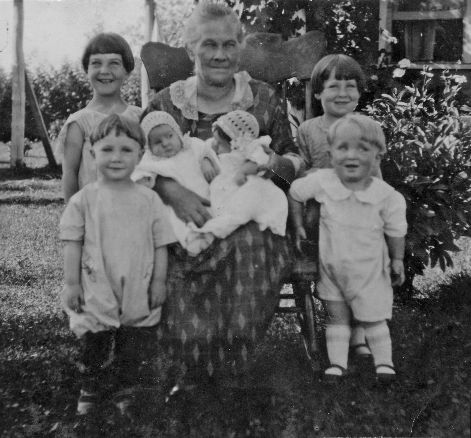 Juliana and George had 12 children, 9 girls and 3 boys. Sadly, 2 boys and 3 girls died as infants or young children. George was a teacher so the family moved frequently. 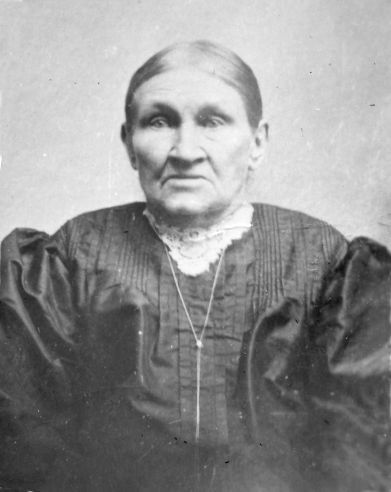 She and her family came to Utah in 1852 with the Henry Walton company. They were early settlers of the town of Lehi, Utah. 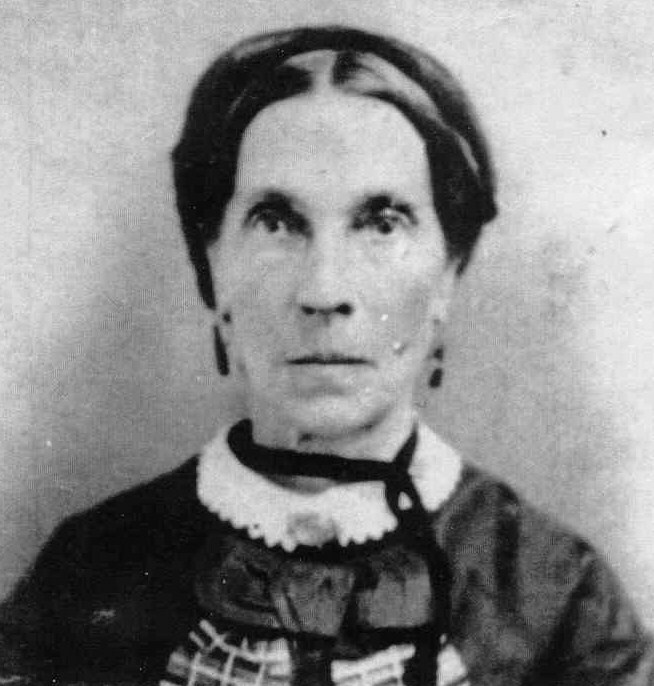 She died in Utah in 1864 at the age of 66. Next grandma in my "mother line" is Elizabeth Zimmerman Lamb. I know her fairly well even though she died almost 36 years before my birth. She wrote her history. Bless her heart. She wrote a history for me. Elizabeth was not a woman with a lot of leisure time. She had 10 children. She came west by wagon train as a girl. She lived a life of hardship and hard work. But in 1900, when she was 69 years old, she took the time to write her experiences and her feelings. She described herself this way: "Am not large, brown hair, blue eyes, light complected. Am the daughter of George Gotlieb and Julianna Hoke Zimmerman, they were both natives of Germany, they came to this country in 1804." Elizabeth described the buffalo they saw on the Great Plains as her wagon train traveled west. It was a wild country--thousands of buffalo could be seen. One day we could hear them make a roaring noise when they were miles away. They came straight for our train. We could not get out of their way so half of the teams stopped and the others went on. As they came up the hill and passed the wagons--ours was the second one that stopped--it was a fine sight to look at. We had to give them room or they would have run over our teams. There were about five thousand of them. It took such a long time for them to pass. The men put ropes on the oxen horns and loosened them from the wagons. The women and children got in the wagons. It was a scary time for our cattle were so afraid of them. We had some of their meat. It was fine. We could cut it in slices, salt it, and string it on sticks and jerk it over the fire then let it dry. It was sweet and good. When Elizabeth and her family got to Utah, they settled in a little town called Lehi. They built a fort for protection from the Indians, but Elizabeth enjoyed the sociality of living in such close quarters with her friends. On her birthday in 1901, Elizabeth wrote an entry specifically to her granddaughters (including me). I want to write some to my granddaughters and tell them how the girls spent their time in Lehi after we moved into the fort. It was built in a square with the doors inside and a mud wall on the outside of the houses. The houses were close together most of them joined. We all had one room so you can see we did not have much room to work in. All the girls in Lehi could spin. We had a large log meeting and school house. The Bishop told the girls they could take their wheels there and spin. Sometimes more than a dozen would spin at a time. I think I hear you say they done lots of playing, but I tell you we did not. In April of 1905 she recorded the death of her daughter Myra. Daughter Libbie had already died and she would write about the deaths of two more daughters before the end of her journal. I have had a daughter and a son die and I relate to Elizabeth's feelings about these tragedies. I have had the saddest news of my life to record. It is the death of my daughter, Myra Daines. She died April 5 and was buried the 7th 1905 in Hyde Park. She was sick about 6 weeks and it turned to blood poison and brain fever. She had 2 good Dr. and we all fasted and prayed. The Elders had all the faith they could get but we could not keep her. She left 6 children, her babe about 16 months old. All her brothers, sisters, their husbands, wives, her Father, Mother and her husband, children were at her bedside when she passed away in the house. I love reading Elizabeth's history and subsequent journal. She started writing and kept recording her memories and her current life, making some interesting reading. Elizabeth didn't think her writing was very good. She apologizes for it in some places, but it is gold to me. The original journal has been lost, but two of her granddaughters made a typescript that is now digitized. What a gift she gave us. Thanks Grandma Elizabeth. I love you. The dedication in the new book our committee is now distributing is to our maternal grandmother, Hazel Johnson Christensen. We wrote, "To our grandmother: When she couldn't sleep, she counted family instead of sheep." This refers to Grandma's nightly habit of going over all her descendant's names and birthdays. She knew us all and our birthdays and she sent us cards with a check tucked inside when our birthday came. 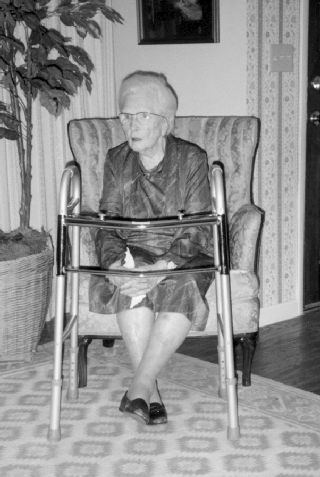 She continued this habit until she died at age 93. As you may expect, she was a much-loved grandma. The book is about her ancestors. Reading their stories gives us a clue where her sterling qualities, her interest in people, her faith and her determination came from. I hope I have inherited her good qualities as well. Hazel Johnson was born November 5, 1899 in Preston, Idaho. She was the 9th of 10 children, although two of them died as infants. She was less than two years old when her father left for Denmark, the native home of his parents, on a mission. 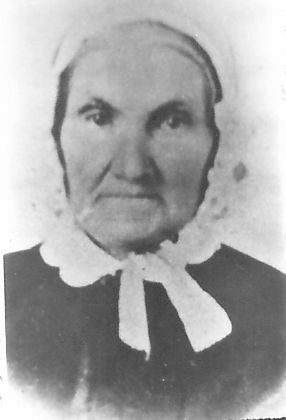 Hazel's mother, Harriet, and her children lived on investments made by her father James Johnson, on Harriet's hard work on their farm and sawmill and frugal homemaking. Hazel worked hard all her life, too. She raised six children to be responsible adults. She supported her husband in his political career as a Nevada legislator. (Her father had been part of the Idaho Legislature.) She worked side-by-side with her husband in their Las Vegas jewelry store. She never let go of her native frugality, but she was generous with her many descendants. Grandma loved the color purple. She had her house painted that color and favored purple in her clothing. She didn't like to cook, but she provided her own favorite "Mother's" taffy sandwich cookies in her cookie jar and we always knew we could depend on having cookies and ice cream at her house. She was a meticulous housekeeper. Her handwork was unexcelled. 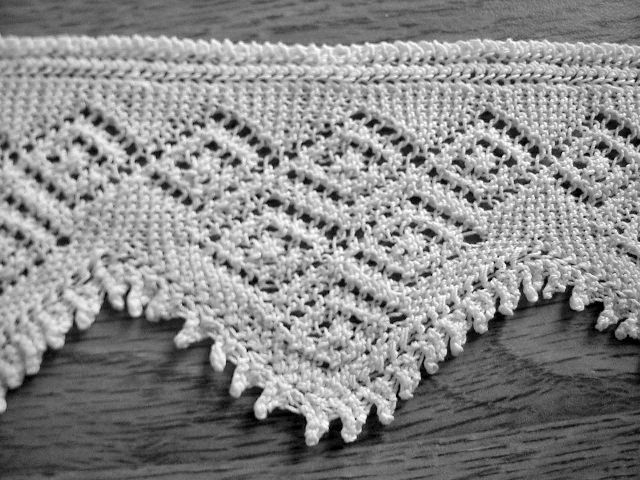 She knit the beautiful heirloom lace pattern she had learned from her mother. In producing our book we learned that the pattern had been created by her mother and her mother's sisters (the Lamb sisters). 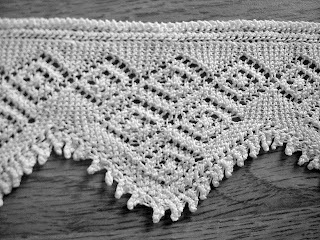 My own sisters were able to update the pattern and provide it in the book. Knitters, beware. It's a hard pattern. One of my sisters warned that she could not even watch TV while knitting it. Grandma also produced afghans for all her descendants. She knit many of us stockings when we were little and she crocheted doll outfits for all her granddaughters. Grandma was a record keeper and a saver of historical memorabilia. 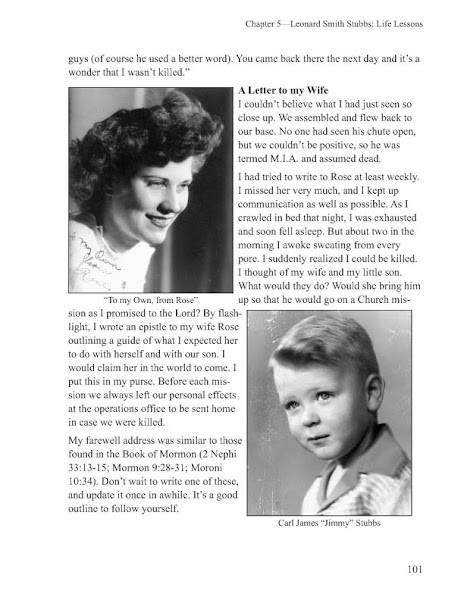 After she died and all the "valuables" were gone from her home, there were eight boxes of letters, clippings, photos, etc. that my sisters and I inherited. My sister Beth and I had compiled a looseleaf book of histories, genealogy, photographs and memorabilia of her family and that of my grandpa. It was the last summer of Grandma's life and she financed and encouraged and inspired us to make photocopies for all her descendants. That was our first Christensen book. We worked hard at collecting, writing and putting together this information. Grandma grew weaker and was confined to her bed by the time we brought all the pieces to her home in Las Vegas to collate. We spread it all out on her bedroom floor and bound each "book" together with plastic wrap. It was to be her Christmas present to all of us, but we distributed them from her home after she died in August, shortly after we put them together. Thus, the leftover boxes of stuff that nobody else wanted to bother with became a part of our inheritance. The eight boxes of stuff were stored in my sister Adele's basement until one day she called us together (I have 7 sisters, though we were not all there.) and said, "Girls, we've got to go through this stuff and decide what to do about it." Adele's ping-pong table was the sorting spot for several days as we laughed, cried and sorted Grandma's treasures. And there were some treasures. The "everything" we thought we had originally gathered was not everything by any stretch of the imagination. We knew we had some bigger, better books to publish. Grandma died in 1993 and we have just finished the third volume (600-800 pages each) of histories to update that original looseleaf book for Grandma. She was our inspiration and our guide. Her family members ordered 250 copies of just this last volume. It's been a wonderful journey of learning and working and sharing. Thanks Grandma, I love you. Nothing like a world disaster to make our own small trials pale. Today my prayers and thoughts are with the people in Japan as they sort things out and attempt to recover their lives and property. Interesting to think that only a generation ago my parents were fighting the Japanese people, believing that Japan was looking for world dominance over the United States. My mother was named Anna, but her family and friends called her Anne (with an "e," like Anne of Green Gables she said). Mom was in college during most of World War II. She sang tenor in the school choir because theren't were enough men in college at the time to fill all the men's parts. During her senior year in high school she was a regular volunteer at the Army Air Base near Las Vegas, acting as one of the "hostesses" at the canteen. She wrote to several fellows she knew who were in the war, including her two older brothers, one in the Army and one in the Navy. She told me that she later wished she had been more supportive of her mother in those days. 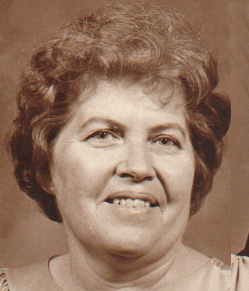 Grandma Hazel was a strong woman in many ways, but having two sons overseas was seriously taxing to her emotional and physical health. After the war, Mom married an Army Air Corps veteran and they used the GI bill for him to get a college education. She never did finish her degree in drama, but she encountered plenty of drama in her chosen profession of being a mother--of 10 children. Dad became a schoolteacher so we never had a lot of money, but my mother knew how to make her house a home. And she did so. I am asking God to bless the people in Japan that wherever they are sleeping tonight, they will have some sense of home in their hearts and that those hearts will receive comfort. It isn't just the mortar and bricks that make up our homes. It is the love and comfort that comes from a higher source than that which can be shaken apart or washed away. May those people who have lost so much feel our love coming across the Pacific Ocean to them now. I had great plans this month to blog every day about my wonderful female ancestors or "an-sisters" as my young daughter once called them. (She wondered why we only had "an-sisters" and no "an-brothers.") However, I've been experiencing a little adversity. First my back went out. First time ever. Am I getting old? The chiropractor wondered if it was the exercise video I resurrected and was working with. Too much of a good thing, I guess. Then my computer crashed, again. This time I was better backed up, but I haven't had the stamina to sit in front of it long enough to try to get it back. I tried to get some of my stories from my sister's computer, but my external hard drive locked her out and then her keyboard broke. So now I'm lying on my back with the laptop propped up on a pillow in front of me. Nevertheless I do honor my grandmothers, great-grandmothers and so forth. It is their indomitable blood running through my veins. It is their courageous gene pool that has contributed to mine. Their stories give me what it takes to survive my small trials. Thanks dear ones. I'm thinking of you this month. I recently heard an interview Lisa Louise Cook of Genealogy Gems did with Curt Witcher (from the Allen County Library) at RootsTech. It was well worth watching. He gave a little preview of the keynote speech he delivered the day after this interview was recorded. Watching them talk fired me up once more with gratitude for the wonderful time in which we live. Wonderful in many ways, but especially as a genealogist. As Witcher said in the interview and elaborated in his keynote address, this is the best of all times to be interested in family history. 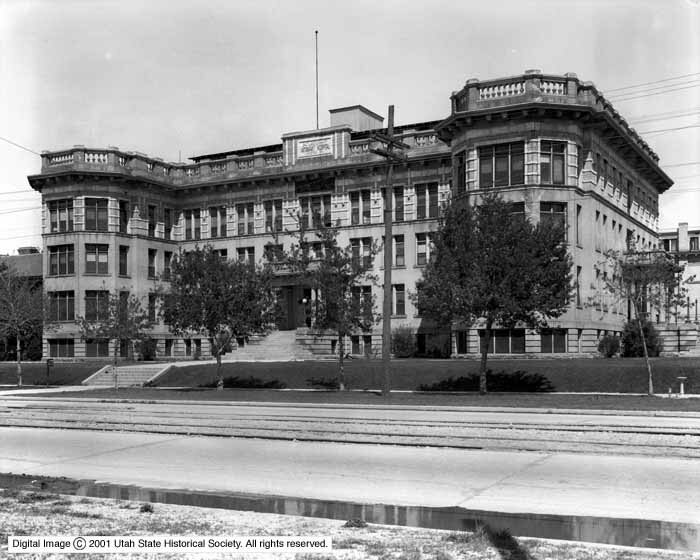 Salt Lake County Infirmary in 1922. (photo from Utah State Historical Society). Lisa used the term "webness" in her comments. Perhaps she coined the word. I like it. She and Curt remarked on the fact that having a web presence doesn't take away from a mortar and bricks library or the various places that genealogical data is stored in hard copy. Curt cited statistics from the Allen County Library to prove the point. Their considerable "webness" has not only served their internet patrons, but has encouraged foot traffic as well. And Curt talked about the point that he would make in his marvelous keynote speech--having genealogy at our fingertips on-line, at least indexed and cataloged on the internet, makes shorter work of research and gives us additional time and energy for story-telling. The on-line presence our family history committee has maintained has recently borne fruit. Imagine my excitement in receiving an e-mail from a distant Swedish cousin who had spotted her home village on our site. "I have photographs of the farm," she told us, "and information from people there back to the 1500s." Am I interested? Yes, indeed. Thank goodness for our family history "webness" and for the talented nephew who established a place on-line for our stories to be found.